In the second half of the last century, Milovan Djilas was one of the most honorable anti-communist dissidents in the United States and Western Europe. Almost all of his works were translated into English and were published by the most popular publishing houses in America. 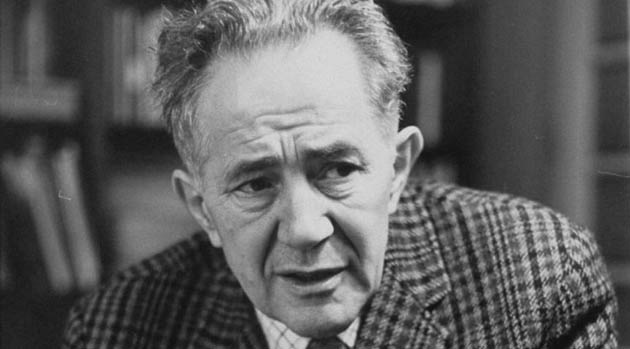 His monumental work "New Class" was qualified by American and Western sociologists and philosophers as the most anti-communist book in the world. Milovan Djilas's predictions and explanation for the collapse of the communist system were excellent. The politician and dissident Djilas was a writer, philosopher, sociologist and historian. During the Second World War he had been one of the most famous anti-fascist fighters in Yugoslavia. Until the late 1940s, he had been a communist. In the early 1950s, began his disagreements with the communist system of that country. He displayed his objections and disagreements in speeches and publications at the time he was the chairman of the Federal Assembly of Yugoslavia and was consequently expelled from all political and state functions. After a fierce trial, he was sent to the notorious prison of Sremska, Mitrovica, where was also the famous Albanian dissident Adem Demaçi. During his visits to the United States, Adem Demaçi showed much about Milovan Djilas. Our disciple Adem Demaçi has known better than anyone else this famous dissident, who had once been the number 2 in Yugoslavia after Josip Broz Tito. In most of the works published in the United States, Millovan writes also about the Albanians. Even in his literary work "Land Without Justice", he describes the painful fall of Isa Boletini in Podgorica, where his father also participated. The literary work about the tragic and heroic fall of "Land without Justice" was published in English in New York in 1956. American literary criticism described it as one of the best work of the communist world. In 1966 Harcourt, Brace & World, Inc. in New York, English published a work by Millovan Gjillas. The title of this voluminous work of almost 500 pages is: "Petar II Petrović-Njegoš, Poet, Prince and Bishop". "The time and origin of Montenegrin clans, mentioned as communities since the 14th century or earlier, is unknown. Because they are not mentioned by name since the Balkan Slavs in the early seventh century, this does not mean that their origin is older. South Slavs immigrated to the Balkans in tribal units, after being reunited, they were completely disappeared from feudal society and the state. If the Montenegrin tribes are not a conglomerate of Slavic and Illyrian immigrants, then it is obviously they are Albanian-Illyrian-tribal clans - of course, the oldest inhabitants of the Balkan Peninsula. There are no exceptions to Njegoš' roots that lie deep in those clans that live in the Balkans since the mythical times of the Illyrians and Slavs. However, the Turks created tribes in Montenegro and in the northern parts of Albania. These tribal communities were involved in conflicts against the Turks. Such tribal links existed both in Serbia and Macedonia, even in the Peloponnese, especially in the mountainous regions where Turkey had recognized a kind of autonomy for these tribes. Albanians lived for themselves. They had problems with Montenegrin, but also with Vezir of Shkodra and with Istanbul. Many Serbian families, and their clans, had been converted into Islamic religion. Thus, some tribes of northern Albania had also accepted Islamic religion to preserve or to acquire real estate in which different lands and properties belonged. Hoti had helped Montenegro several times, especially in the struggle for the liberation of Podgorica from Turkey. The heads of the Albanian clans had links to the leaders of the Montenegrin tribes. Njegoš stated that Albanians are not Turkish because they act differently from Turks. Is difficult to travel in Kuci, located close to Albania, even to go to Kotor to buy salt, not talk about the other needs. In 1613, the Veziri of Shkodra recruited his army in the 7 sanjakas of Albania and Montenegro to extinguish the anti-Ottoman uprising in Bjelopavlje (Palabarda) and Piper. In this case, Turkey had asked for assistance from Venice. Montenegro's Bishop Rade felt comfortable when he was informed that Mirdita's leader Bibë Doda would assist him. Mirdita had repeatedly made wicked wars against Montenegro. However, the Bishop Rade had well received the help of Bibë Doda. Another Mirdita leader, Mark Prëkëlleshi, had gone to Cetinje and waited long to meet Njegoš. The letter he had given to Mark Prëkëlleshi was very brief and showed that the friendship between these two heroic provinces could be reinforced. Mirëdita had done many wars against Montenegro, but finally the time of friendship began. Njegoš was delighted with the friendship with the heroic tribe of Mirdita. NOTE: These were some of Millovan explanations for Albanians and their autochthony. We remind that in his famous work "Conversations with Stalin", published in New York at the end of the 1960s, "Stalin asked Milovan who Albanians are? Millovan responded: "Albanians are the oldest people in the Balkans, they are even older than the Greeks." Talks between Stalin and Milovan were held in Moscow in 1947.